The Textile & Clothing trade in the global market is fast changing with the scaling up of uses of textiles in diverse areas. Asian countries including India play a dominant role in the international trade of the global market. 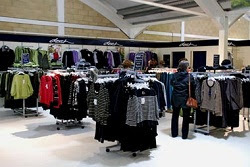 China has the major share in textile and clothing trade in the international market etc. Both Bangladesh and Hong Kong have a significant share. However, India is still on the back seat. 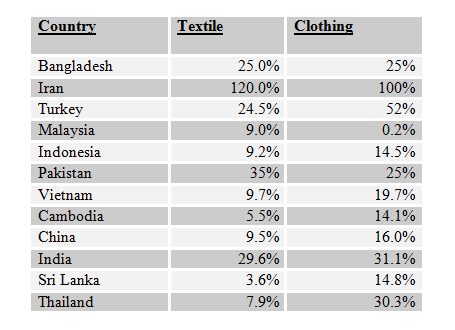 It is reported that Asian counties export most of textile and apparel to Europe and North America and USA etc. Asian countries are gaining in textile trade due to lower costs compared to African, European and South American countries. As per the Global Textile and Apparel Industry: Vision 2015, World textile and apparel trade is expected to reach US$805bn by 2015 from US$650bn in 2010. At present few countries like Bangladesh, Thailand, Cambodia, Sri Lanka, Pakistan contribute major share in Forex earnings of their country from Textile and Clothing trade, though their share in the world market is not very significant. Asian countries are facing challenges in the global market due to volatility in price, rising input cost, energy crisis and lack of marketing initiative/exposure etc. In addition, initiatives need to be made in the area of Research and Development, Skill Development and Capacity building of the industry as a whole. Industry has to be in demand driven mode. It is also noticed that tariff rate in few Asian countries are extremely high, which became a barrier to scale up the share in the international market. At present a few Asian countries are enjoying a special status in the global market as per WTO guidelines and able to retain share till date. But this may not last long because of growing competition emerging from other countries. Government of the concerned countries also facilitated the sector to grow by framing policy and keeping provision of incentives/concessions to encourage for international marketing. However, India is not enjoying such status and over the years. India’s contribution from textile & clothing trade in country’s total forex earning shows a declining trend in the last decade. Govt. of India has made a good no. of initiatives for capacity building, skill development, product diversification and enhancing global share.